Drug-free zone laws in Florida are designed to make children and communities safer by limiting sales of illegal substances near schools, daycare centers, parks and churches. Per Florida Statute Section 893.13(1)(e), those caught selling certain narcotics within 1,000 feet of such facilities could face penalty enhancements. In some cases, it may be considered a first-degree felony, accompanied by a minimum mandatory 3-year prison sentence, regardless of one’s prior criminal history. These laws are a holdover of the Reagan-era “War on Drugs,” and some states and municipalities have called for a repeal of these laws, as they are harsh, do little to curb drug crimes and are often applied inequitably. So far, however, our Broward criminal defense lawyers haven’t seen any indication Florida’s legislature intends to do comply. Still, there are situations under which a “drug-free zone” enhancement can be effectively challenged. A recent example is an appeal before Florida’s 4th DCA of two defendants, tried jointly and convicted, of trafficking oxycodone within 1,000 feet of a church. The cases, Lemaster v. Florida and Wilder v. Florida, stemmed from a November 2011 arrests of two individuals on the first-degree felony charge of possession with intent to sell in, on or within 1,000 feet of a physical place of worship at which church or religious organization regularly conducts religious services. The pair were convicted of this and other charges. 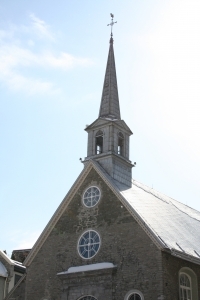 Although numerous issues were raised by the defendants on appeal, the appellate court found only one had merit: the sentence enhancement they received as a result of the activity occurring close to a church. In order to convict the defendant of this offense, prosecutors needed to show evidence that, during the time the offense occurred, religious services were regularly conducted there. There are two prior cases that form precedent here. The first isCox v. State, decided in 2000 by Florida’s 1st DCA. In that case, the defendant was convicted of selling crack cocaine within 1,000 feet of a Florida school. At the time of the offense, the prosecutors were able to show that a structure known as Academy of Excellence – a school – was located less than 200 feet from where the crime allegedly occurred. However, what they were not able to show was that the academy was a school at the time the offense occurred. The school had been operational at least two years prior to the offense, but the state did not produce evidence the school was operational at the time of the offense. The appellate court concluded the state failed to prove an essential element of the charge and reversed the enhancement. In the second case, Moore v. State, decided in 2009 by Florida’s 2nd DCA, the court held the evidence was not sufficient to convict the defendant of possession of cocaine with intent to sell within 1,000 feet of a church. The officer in that case testified he saw people coming and going from the church on Sundays, but said that activity was last observed almost a year prior to the crime. In the two more recent cases before the 4th DCA, the state offered evidence that the alleged drug sales occurred within 1,000 feet of a structure known as a church. At trial, which occurred more than a year after the incident, the pastor testified the church held regular services on Sundays, Wednesdays and Thursdays. The pastor was also shown photos of the church, taken the previous fall, and testified it was an accurate description of the church’s appearance. An officer testified the church was in the same condition at the time of the sale as it was in the photograph. However, the appellate court ruled none of this definitively proved the church was holding regular services at the time of the crime. In the absence of this, the court determined it had no choice but to reverse the conviction for drug sale within 1,000 feet of a church. That reversal should significantly reduce the length of the sentences for these two defendants.